Former Heidelberg and Melbourne City player Haris Stamboulidis has been attending Ivy League Columbia University in New York for the past three years where he has been studying Economics and playing college soccer. The Melbourne-raised youngster has just returned from a pre-season training camp in Qatar at the world renowned Aspire Academy, where his Columbia College team were on a training camp in preparation for the season ahead. 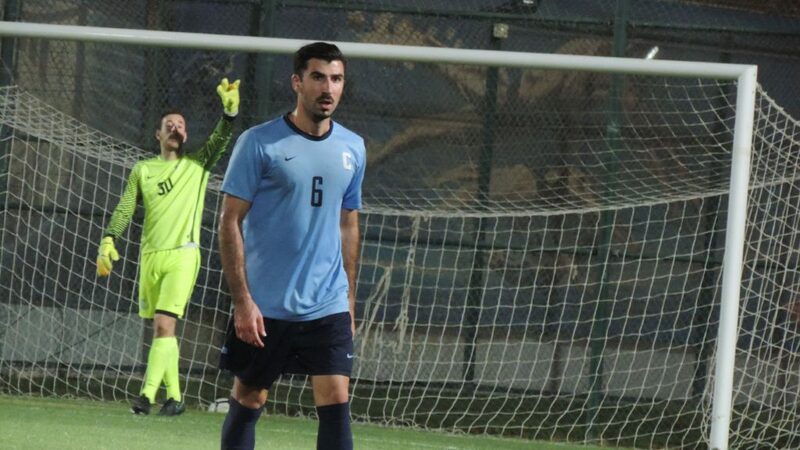 Stamboulidis featured for Greece’s U19 team in two friendly games a couple of years ago and the 21-year-old says he is eyeing another opportunity to play for Greece again. “My personal team has been in direct contact with the Greek coaching staff who say that I am still on their radar,” he says speaking to Neos Kosmos from New York. While Stamboulidis was playing with Greece’s U19 team he also spent time with Greek Super League club AEK Athens and the midfielder revealed there was serious interest, but instead he opted to attend university. “AEK were very interested in keeping me,” he says. “However, around that time I was seriously considering Columbia so I had to go away and reflect with my family and ultimately had to make a decision on my own whether that was the path I wanted to take at that stage of my life. During the off-season with Columbia University, Stamboulidis also plays with Major League Soccer’s (MLS)Colorado Rapids U23s who compete in the senior Premier Development League regional competition. During the North American World Cup qualifiers that took place last year, Stamboulidis played against the United States and Trinidad and Tobago national teams and says the friendly games proved he could match it with the best. “Playing for the Rapids U23 youth team against the US senior national team was a great experience,” he says. “Some of the players that played in the match were Bob Bradley, Clint Dempsey, Tim Howard, who is a Rapids player, and Anthony Pulisic who plays for Borussia Dortmund in Germany. Stamboulidis says he has come to embrace the approach the Rapids have to playing football, especially that unique American attitude to succeeding. “Just the notion of winning and being ruthless in your approach,” he says. “That’s not only on the football pitch, that’s off the field as well. It’s as much, if not more, in preparation, in strength, in conditioning and in nutrition where it all comes together. That pursuit will begin another chapter in December when Stamboulidis graduates from Columbia and he says his aspirations after finishing his studies are to play football at the highest level. “There are a few options, but nothing is really set in stone,” he says. “Playing with Colorado has given me a great outlook on what being a professional footballer would look like. “There is also the possibility of going into the draft and player combine which is a four-day annual showcase that occurs each January where future MLS players perform a series of physical and mental tests in front of coaches, general managers and scouts.